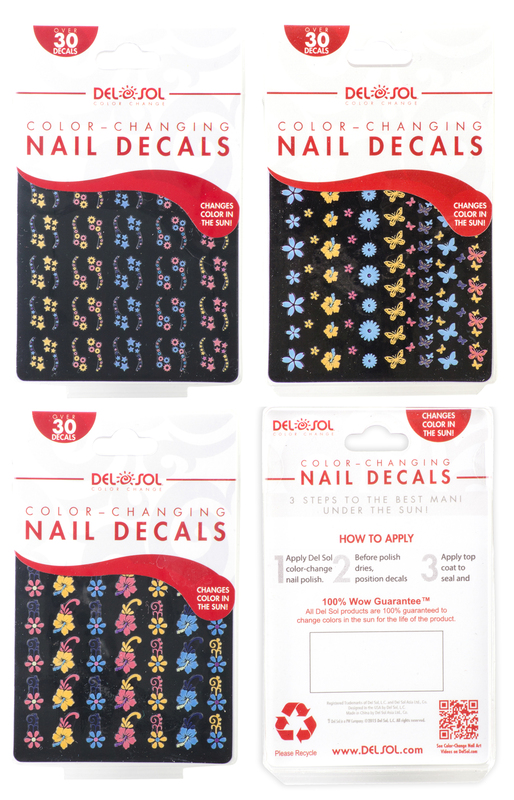 Designed to show off variety of color-changing Nail Decals that match the look and feel of the Del Sol Nail Care Family of products. Worked with Product, Packaging, and Store Design teams to create packaging that appeals to kids while still following the look & feel of the Del Sol Nail Care family of products. Designed nail decals with color change in mind and created universal packaging that could be used for all 3 designs.